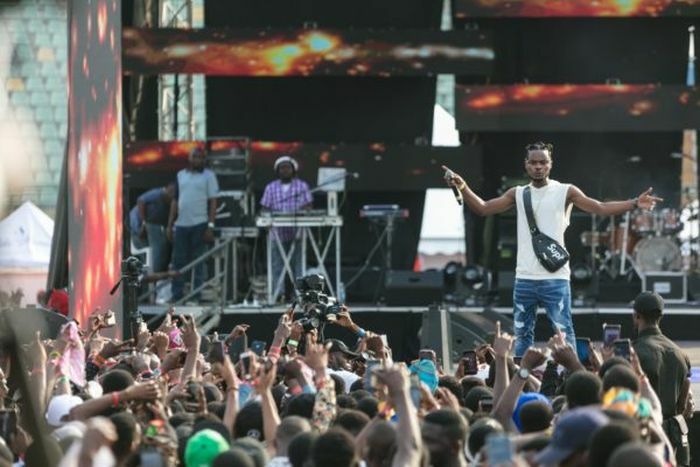 Lagos and the Nigerian music industry experienced a new dimension to the business, art and act of concerts with Olamide Live In Lagos: The Concert on Sunday 17th December 2017 at the Teslim Balogun Stadium Surulere, Lagos with approximately 15,000 people in attendance. 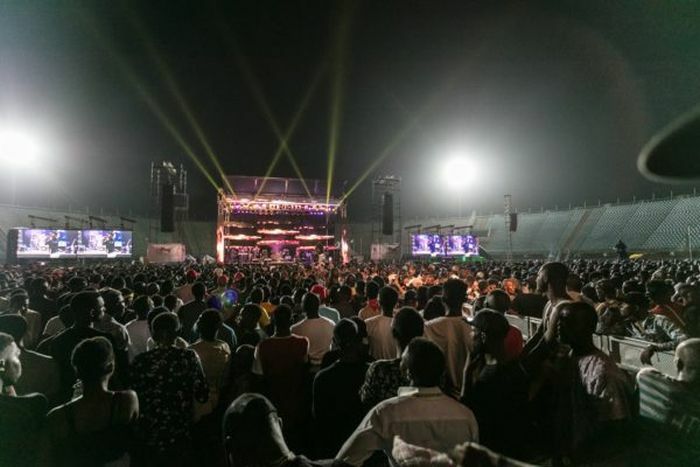 The Concert exceeded the expectations of many Lagosians with the efficient security measures put in place and the professional delivery of 2,500 security personnel from The Nigerian Police, The Nigerian Army, LASTMA, The Nigerian Civil Defense, The Lagos State Neighborhood Watch and private security agents. 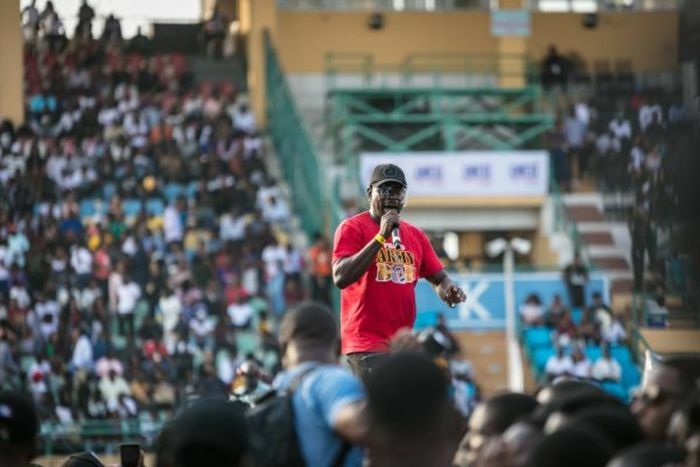 The fourth edition of Olamide Live In Lagos powered by the Lagos State Government and the Ministry of Tourism, Arts and Culture was gracefully attended by State Commissioners, Permanent Secretaries, Directors, Brand executives and Nigerian A- List celebrities in the entertainment industry. 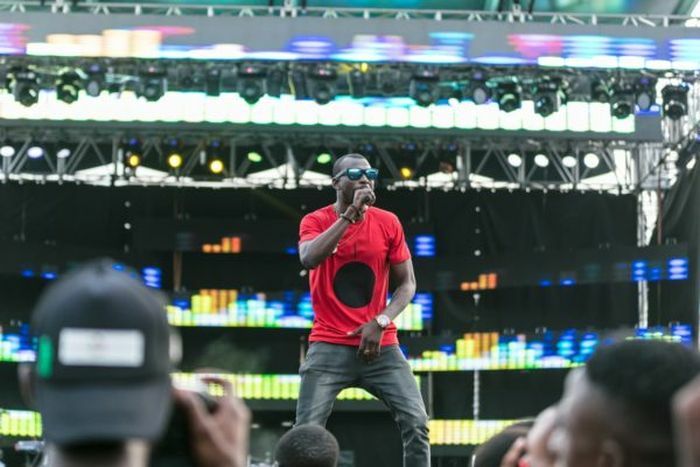 Proudly supported by Kwese Free Sports, Monster Energy Drink, Red & Axla, Pentagon, Western Lotto, FIRS and Hennessy, the concert had full media coverage by MTV Base, Pulse.Ng, Wazobia Tv, government and privately owned online, print and broadcast media houses in Lagos State. 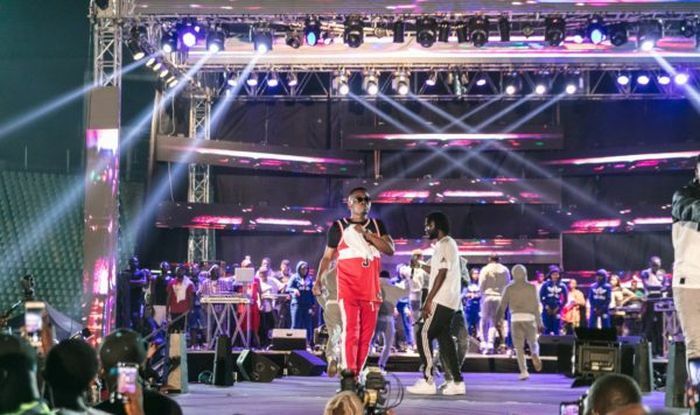 Olamide Live in Lagos had a festival-like ambience with the provision of a Food court which had variety of fast food meals from notable brands like Indomine Noodles, Domino’s Pizza, Cold Stone Confectionaries, Shawama& Co along with a Beverage Village. 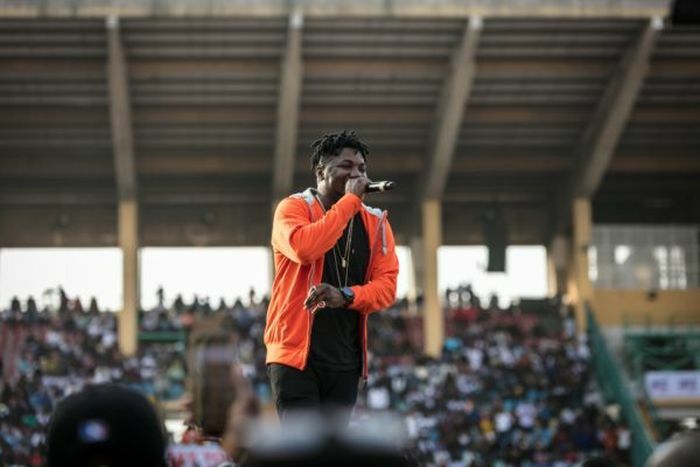 The ticketed concert started with the distribution of ready-to-eat meals to the first 2500 tagged fans by KoKun Foundation a non-governmental organization known for eradicating hunger and poverty amongst Nigerians. Their partnership with OLIC4 was an opportunity for them to reach out to the Surulere Community. Hosted by Bash and Jimmy, fans enjoyed nostalgic music by Baba Fryo, Daddy Showkey, Terry G, Olu Maintain, Durella, new vibes by Teniola, Efe, Mz Kiss, Temmie Ovwasa, Dele, MeReal, Ugly, Marvelous Benjy, MzKiss, TJAN, Ola Dips, Zoro, Efe, Fefe, Blackah, WavyTheCreator, Lach, Airboy, and musical sensational performances by Tiwa Savage, Sound Sultan, Skales, Terry Apala, Ycee, Lil Kesh, Solidstar, Small Doctor, Viktoh, Reminisce, Skuki Iceberg Slim and Slimcase. Comic relief was engineered by Woli Agba. 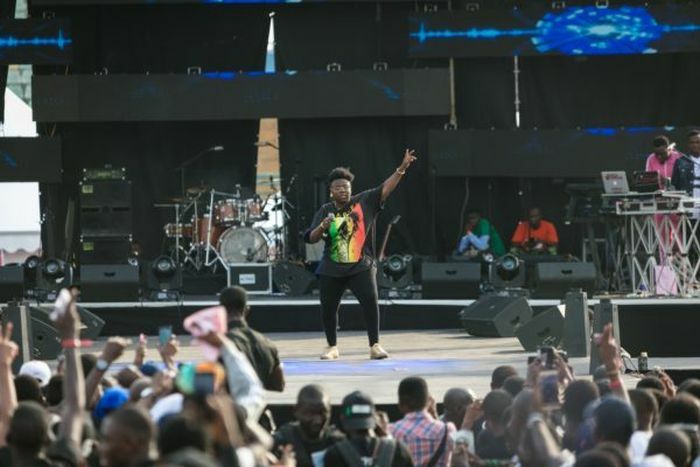 While DJ Mewsic, DJ Real, DJ Enimomey and DJ Kentalky increased the tempo of different sound and vibes as the concert progressed with Ushbebe‘s spore on of the energetic crowd. 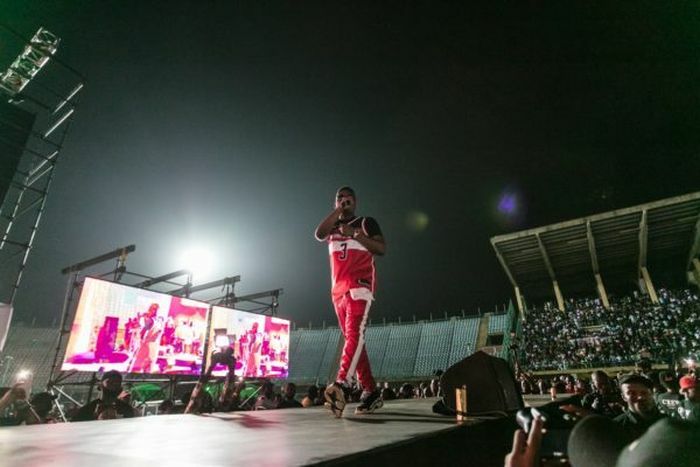 Towards the final stage of the concert, fans could not curtail their excitement as the energy god Do2dtun ushered in the King of the Streets, Olamide to the stage with his colourful and energetic dancers. The uproar of screams increased as Olamide backed up by his band, rendered songs from his old and new album. Before the anticipated appearance of Phyno as they jointly performed collaborated songs like ‘Fada Fada’. 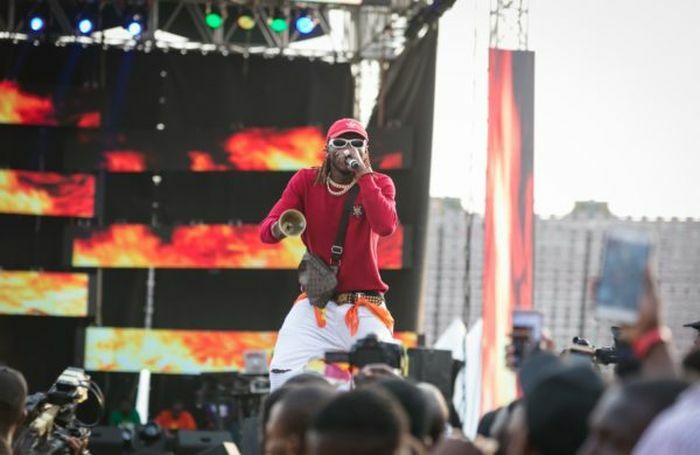 The show ended with an ecstatic feeling from fans as Olamide finally performed the most anticipated hit song ‘Wo’ which was followed by the rhythmic movements of his different dance crew. 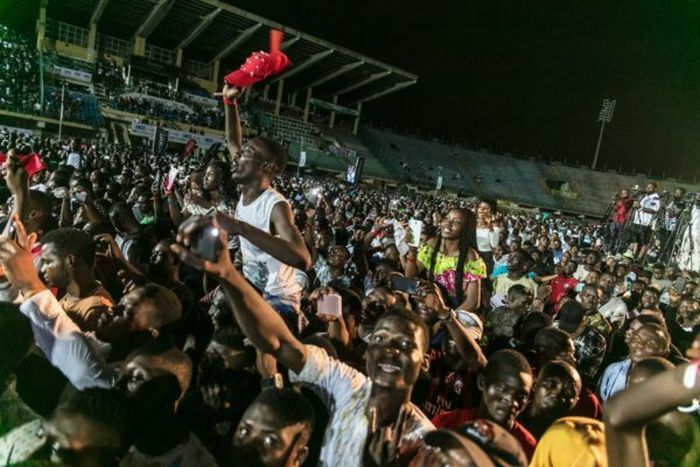 At the end of the concert, fans left the arena with so much joy, having witnessed the beginning of a paradigm shift in choice of location that guarantees security and accommodates the increasing number of fans and enthusiasts of the Nigerian Entertainment Industry. OLIC4 has just successfully changed the game.